Each year, FASFAA selects and sponsors a charity that is local to the conference city. For the 2019 Annual Conference, FASFAA has selected Community Cooperative of Lee County! Since 1984, Community Cooperative has worked to end hunger and homelessness in Lee County with headquarters in Fort Myers and Fort Myers Beach, and mobile services throughout greater Lee County. In addition to serving upwards of 200,000 meals each year through Community Cafes and Meals on Wheels, it provides homeless and comprehensive life coaching services, oversees eight emergency mobile food pantries and supplies more than 500,000 pounds of food to hungry school children and their families through the Growing Healthy Kids School Mobile Food Pantry Programs. 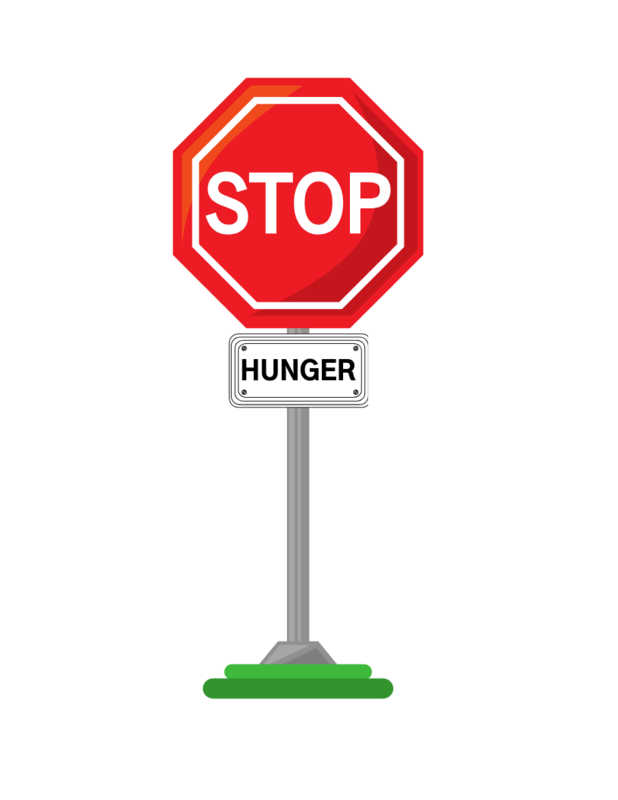 Help us STOP food insecurity and put a BRAKE on hunger! FASFAA is hosting a Food Drive that will benefit Community Cooperative. Food Items will be collected during the 2019 Annual Conference in Bonita Springs, May 21-24, 2019. We are asking all conference attendees to bring at least one food item to help towards the cause. Whether it be a jar of peanut butter or a box of cereal, every food item helps in the fight against hunger. 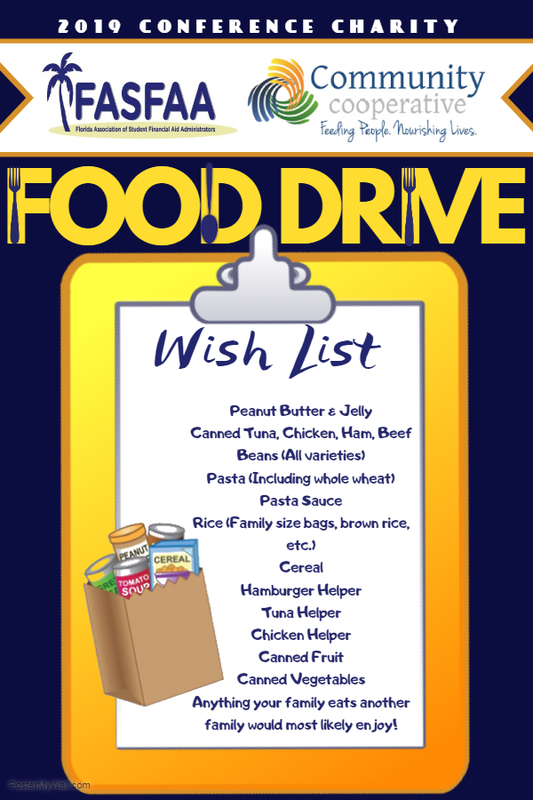 Please refer to the wish list for the most needed food items. However, anything your family eats, another family would most likely enjoy! 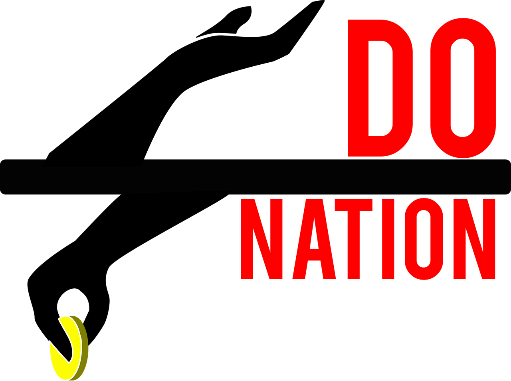 Thank you in advance for making a difference! There will be a competition between the regions to see who can collect the most food! Which region will win this year? Who will take home the plaque? 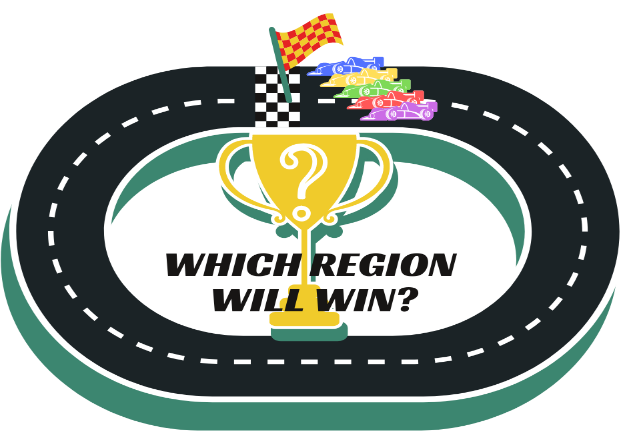 Which Region will win this year? Who will take home the plaque? After you have submitted PayPal payment, please send email to the FASFAA treasurer at [email protected]. * In the email, indicate that you have made a payment for the charity and the amount of your donation. For more information about Community Cooperative, please click on this link.